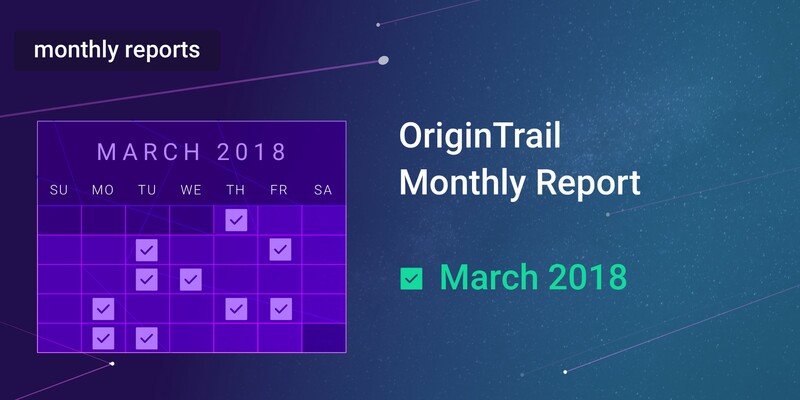 March was an important month for OriginTrail’s development. We continued to follow our roadmap and achieved every goal set for this month. Most importantly, we set the foundations for the node incentive model which will provide long-term stability of the decentralized network we are building. This month’s most visible output was on the development side. We launched 2-week sprint cycles as a way to involve our community and be as transparent as possible on our path to the launch of the test network in June. We also announced two strong partnerships — the world’s first case of connecting and integrating key scientific information with the blockchain, and implementation of the OriginTrail protocol for one of the leading regional commercial real estate developers & FMCG logistics providers. We also set the foundations for more partnership to be announced in the following months. 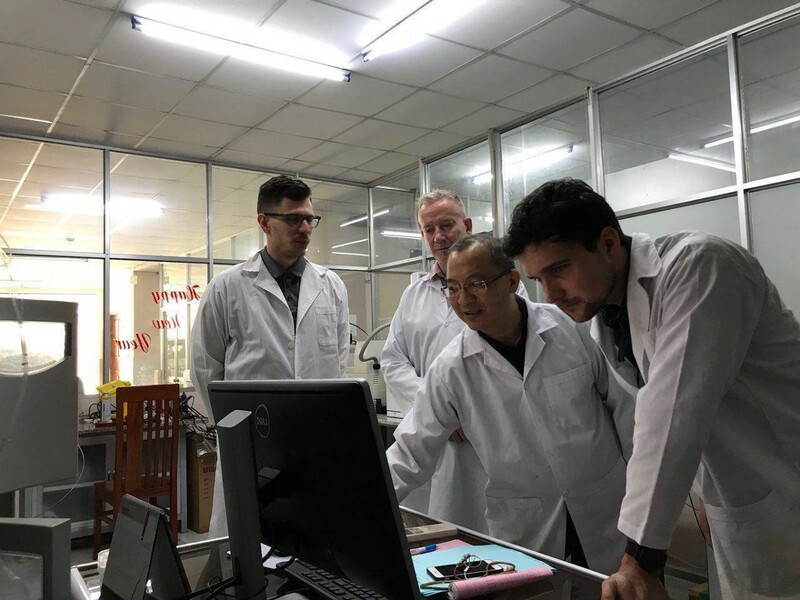 OriginTrail announced a pilot project with two scientific laboratories. Source Certain International from Australia and Hoan Vu from Vietnam are both focused on verifying the integrity of food supply chains by analyzing samples from batches of food using modern analytical and scientific technologies. OriginTrail’s solution will act as the infrastructure for integrating and distributing data, and reports, to the laboratories’ clients, extending traceability and providing an additional layer of transparency and trust. Honey will be the first product where data from spectrometry testing will be available on the OriginTrail Decentralized Network (ODN). The first data sets for analysis and data structuring were exchanged this month. The project will aim towards a fully functional application, where it will read data from the ODN to bring value to the supply chain from a business perspective and, finally, to the end consumer of the honey. This pilot project is the first time the decentralized protocol will be used for food certification and validation purposes. OriginTrail will provide the infrastructure for trusted delivery of confidential data to the laboratories’ clients, which include Unilever, Vietnam’s largest retailer CoOp, and many others. BTC Company is one of the leading regional commercial real estate developers & FMCG logistics providers in Southeast Europe. OriginTrail is enabling the BTC Company to take concrete steps towards the implementation of blockchain technology and the decentralized supply chain protocol. OriginTrail and BTC Company will launch their cooperation by first focusing on BTC’s logistics arm. The first of two alpha node releases scheduled in March, Luna v0.3a, featured the initial test compensation system and presented a testing mechanism between the nodes that provide OriginTrail network services. The following release, Mechta v0.4a, brought a fully compliant GS1 product visibility standard importer and incentive model documentation. The incentive model has a very low probability of diverging into a centralized system, or a system where bad players can get ahead. Data integrity, and discouraging actors to perform against the rules of the system, is at the heart of our mission. The elasticity of this system allows both large and small token holders to participate on their own terms by being able to “monetize” their reputation and stake if they have a good historical track record in the ODN, but without limiting smaller players from entering the system and providing high-quality service. In this way, the system stays decentralized and the distribution of data remains wide. We are currently working on building a bidding mechanism, which is set to be included in the Kosmos alpha node release v0.6a, scheduled for April 23rd. We are also developing ways to enable easier simulations of the incentive model. Learn more about our roadmap. OriginTrail was proud to announce its new membership in the Blockchain in Transport Alliance (BiTA). BiTA is the fourth major trade alliance joined by OriginTrail, which is also a member of Ethereum Enterprise Alliance, Blockchain for Social Impact Coalition by ConsenSys and GS1. BiTA membership opens new networking, business and knowledge-sharing opportunities for OriginTrail. Some of the most well-known BiTA members are UPS, SAP, Salesforce, FedEx, Uber, JD Logistics, Daimler, etc. 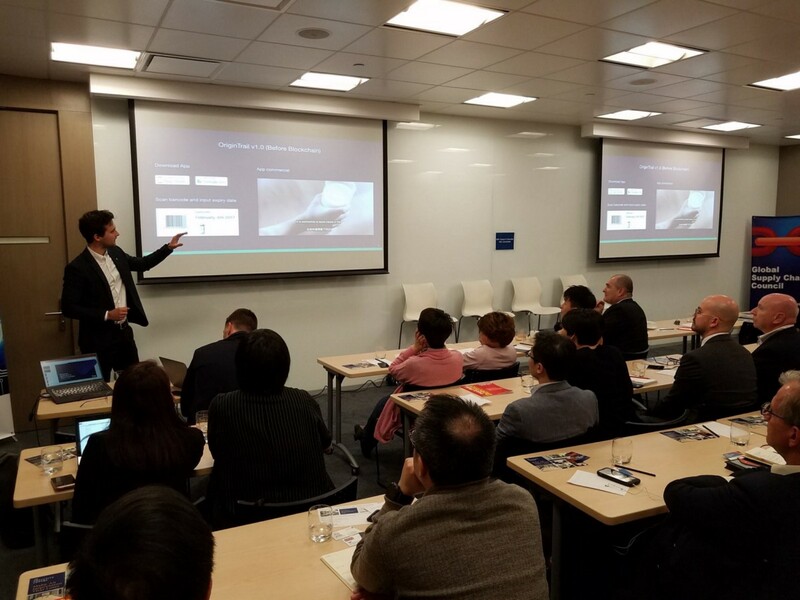 In March, OriginTrail Co-Founder Ziga Drev held a lecture in front of an audience of professionals at the “Supply Chain & Logistics Innovation Forum” in Hong Kong. Our team was also present at the Token2049 event in the city. We also organized a Meet & Greet with our supporters in Hong Kong during our visit. It was an excellent opportunity for a chat with the founders and a reunion with some Tracers that already visited our January’s meetup. OriginTrail also sponsored a Tech Breakfast at the ICThub in Belgrade and brought blockchain-traceable yogurts, so everyone could track where their breakfast came from. We didn’t forget about International Women’s Day on 8 March, either, and our CMO Maja Voje discussed diversity in tech at a panel of women in leading positions at the University of Ljubljana. In March, we were listed on the KuCoin cryptocurrency exchange with two pairs. Trace token (TRAC) can be directly traded both for Ethereum (ETH) as well as for Bitcoin (BTC). Check out how the TRAC token is doing at CoinMarketCap and Blockfolio. FoodNavigator Asia: Blockchain technology to extend GS1 standards to food testing labs “for first time”. This was one of the most-read articles on FoodNavigator Asia last month! The Merkle: What is OriginTrail? The OriginTrail team continued growing in March. Radomir Sebek joined us as a software testing engineer. He is a Skype and Native Instruments alum, and brings more than 7 years of experience in telecommunications. Radomir got into blockchain and IoT after working in the music and automotive industries. We opened additional new positions in our company. Check out our career page at and build the future of decentralized supply chains with us. We were proud to introduce Andrew Webster as OriginTrail’s new supply chain risk management advisor. He has three decades of experience in broking and supply chains and is a partner at Jardine Llyod Thompson (UK). He previously worked at UK Trade & Investment and private companies including Inchcape Shipping Services and Savi Technology. After the great success of our first video, which showcased how users can trace Greek yogurt from the farm to the store with OriginTrail, we produced another. Perutnina Ptuj is our long-time partner and the most important specialized meat processing corporation in Southeast Europe. It is also a McDonald’s supplier and has a Halal certificate. OriginTrail enables their consumers to trace each chicken back to the farm and be confident in choosing products produced through animal-friendly breeding. We are happy to see how the user base on our social channels is growing. We are proud of our community of Tracers who share our mission, interacting with us on GitHub, giving us suggestions for further use cases on Rocket.Chat, and interacting with the code. This is a strong signal that our community has healthy foundations for further growth, which will also be reflected in our product. We opened a new community-led channel this month — Discord — by popular request from the community. It doesn’t change our communication strategy on other channels, but it might provide an additional channel for community engagement. Thanks to our community member flipdrago for managing Discord. This month, we had a few giveaways that involved the community and Twitter influencers Krisma & Crypto Brahma. Congratulations to all winners of our T-shirts! All 3 founders had an AMA with Crypto Brahma. CTO Branimir Rakic was also active with Q&As on Telegram (transcripts were published on Reddit: 1, 2, 3), explaining the node and incentive model to our community. Thank you for an amazing month, and for making our vision possible.